In this tutorial we will do EXACTLY what the title says, really I should just post the youtube link with a description whatsoever. Though, I figured I also wanted to do a mini-text tutorial for those who don't want to view the video. - Diablo III Beta MPQs. First of all, if you have not already you'll need to download an MPQ Editor and the D3 model tools pack. - For this example we used the a1dun_leor_chest_rare.app so, go ahead and open the ClientData.mpq and find that file. Extract it to wherever you wish and you should now have extracted a diablo III model file. .app files are usually found in the /appearance/ subfolder within the MPQ. - Now we need to extract its corresponding textures, so go ahead and open up the Texures.mpq and find the a1dun_leor_chest_rare.tex, Diablo III textures are .tex files (Assume it's short for textures). When you've found the file, extract it and you should be done extracting the files. - With the application now in C:\ run cmd.exe with administrator privileges. (use the windows search function to search for cmd.exe and then right click it and "run as administrator") The reason we do this is cause the tool writes a .obj file, and it will need permission to run and wite in the C:\ path. - When you're in C:\ type in "D3AppConvert2Obj.exe -f a1dun_Leor_Chest_Rare.app" Press enter and it should convert and output a .obj file. What we just did here is told the command line console to run D3AppConvert2Obj.exe and the -f is actually a command of the program we just run (the application to convert to objs) the "-f" stands for file and the following should be the model name to convert. So in theory it's like this "C:\D3AppConvert2Obj.exe -f [filename]"
- Now with your .obj ready we need to convert the .tex file to .dds. To do this just find the other tool in the package the one in the D3textconvert_v0.9 folder and simply drag and drop a .tex file to that .exe. That simple! The application should run the console and you'll just press any key and it will have outputted the .dds and another .txt file which is the atlas information. - You have a .obj and a .dds file. If you don't Go back, re-read and follow the tutorial again. - Import the .obj file to 3ds max. Using the MAX file button->import and select your .obj. You should have your model inside 3ds max now. - Go to the material editor ("M" is the hotkey) and create a new Starcraft 2 material. - Go to the maps and in the diffuse map slot add your converted .dds (a1dun_Leor_Chest_Rare.dds) as a Starcraft 2 Bitmap. - Use the M3 Export Plug in to export the model as a .m3 which you can import to the starcraft II editor. - In the Starcraft II Editor, go to the import module and import your texture IN THE RIGHT PATH which should be "Asses\Textures\" without the quotes. - Save your map and now import the model (the .m3 converted with 3ds max) to wherever path you want. Note 1: The reason we did this is cause the application runs at command line and I find it easier to just put it in the C:\ directly than having to cd my way to the folder the application is in. Also how the heck did people figure out D3's file types... so much random crap lol. Cool :) Nice spam at the end. Hey wait a sec I just saw that note now... and conveniently I also noticed "Last edited 34 minutes ago by Sixen"... HMMMMMMMMMMMMM. @OneTwoSC: Go "blah blah blah yadda yadda yadda blah"
Posts. . . as in plural? ZOMG GENIUS!!!! Do character models work (i.e. Wizard, Demon Hunter, Monk, etc.) ???? Ironically the model format was cracked like 5 days after the beta launched, it's the .tex for textures that took longer, and even that one has been figured out for a couple of weeks now. Character models should work, except that since the converter is just starting up (really the game hasn't even been released :P) the only supported format for output is .obj. Which means that the model will not have any bones or animations. So you'll really just have an animationless character. If you could animate them yourself that's always a possibility. For now the expoter will only export geometry info and uv coordinates. So any particle effects, emissive effects (does this game even has such thing? ), animations, bones, ribbons, etc will not be available. EDIT: last time I tried the exporting script (Like a month ago or so) it still had problems exporting some meshes, my guess is that there's still some problems even if this version should be more advanced than that of a month ago but still, you'll have lots of useful stuff. Tried it, I stumbled on a little problem with Importing the same item. For some reason the distance between points are larger than normal. Any suggestions? Importing the very same Leor_Chest_Rare.app thing? Can you attach your .obj, did you try... repeating it again? For some weird reason it might be messing up, I don't really know. But yeah, seeing the stage the exporter is in I've also encountered models that turn out like yours but really, it happening in the same model I used for my example is just too weird. 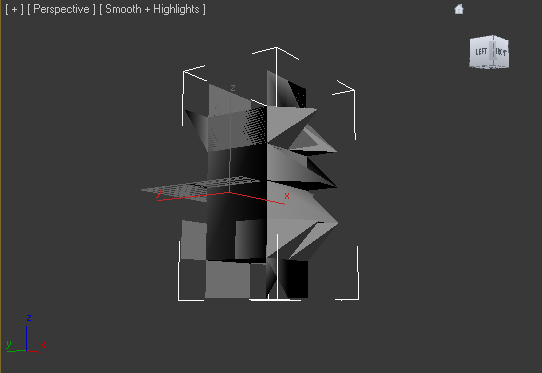 (Edit) I opened the Obj to Blender and it import the .obj just fine... Gues there's something from with my 3D Max. I have no idea, I'll check tonight and get back at you. you have to hex edit the texture converter to get it to work i've done it and it's fine. i wanted to get particle textures from d3. dont think you're going to export diablo with animations however. that isn't supported at all yet. you can grab meshes and textures. thats all. i'll upload the modified texture converter tonight if i remember. At least you can make your own .m3a files with your own animations. ...or animate the models themselves for that matter. No need to do an m3a since you're not adding animations, but rather, making them from scratch.